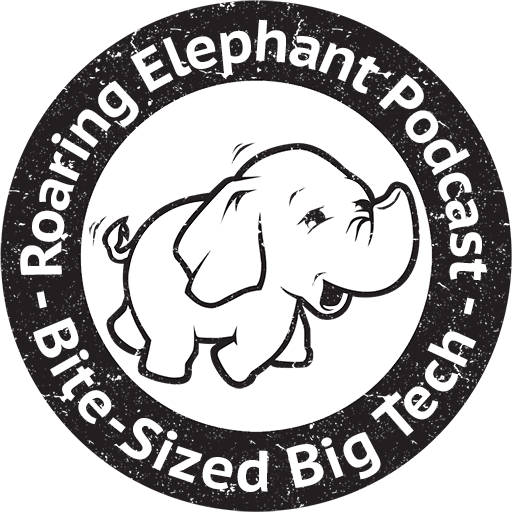 Your hosts for the Roaring Elephant podcast have been swimming around in the datalake for some time now. Everything from helping people to setup new environments and walking them through the components and technology options through to implementing new usecases. I’ve been architecting and deploying open source solutions in and with organisations for over 15 years. My most recent focus is around Big Data with Apache Hadoop and the many varied projects and technologies that are used in that ecosystem. I have a mix of business proficiency, technical prowess and sales presence, ideal for Pre-sales / Solutions Architect / Sales Engineer and other related roles. I have successfully handled a number of leadership roles from team lead to formal manager and am comfortable both leading and also as a strategic individual contributor. At my core I really enjoy walking customers through the journey of a complex technical sale. From challenging some of their existing views, introducing them to new and interesting technologies and solutions and finally helping them through the implementation and realisation of their goals. Building, supporting, mentoring and running teams that can also take customers through that journey has been the highpoint of my professional career so far. When open source became the driving factor behind technical innovation in IT, I left the niche market of supercomputing behind and focussed on emerging technologies. My first venture took me into virtualization and culminated in conceiving and deploying the largest non-commercial IaaS Cloud system in the Netherlands. A few years later, I was part of the team that set up the largest non-commercial Hadoop cluster in the Netherlands. Working with open source technologies makes it possible to dive deep and fully understand the inner workings of solutions in such a way that I can improve things where necessary. Something I greatly enjoy. And as these technologies are ever evolving, I am able to satisfy my need for continued self improvement, now evolving from a purely technical devops environment into a pre-sales role. Working with emerging technologies most of my career, international cooperation has proven to be an integral part of my day.